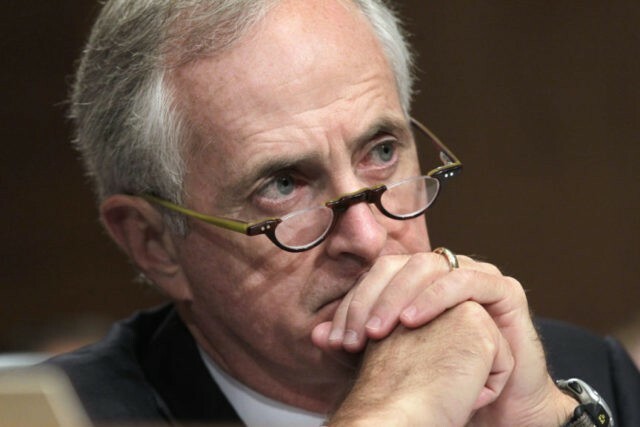 NASHVILLE, Tenn. (AP) — Sitting on the largest sum of campaign money among Republicans facing re-election to the Senate, few in Tennessee thought Bob Corker wouldn’t run for a third term next year. His surprise announcement Tuesday that he will retire from Congress set off a frenzy of speculation about who will try to succeed him. Attention quickly turned to Republican Gov. Bill Haslam, a close family friend of Corker’s, who can’t run for governor again next year because of term limits. Haslam issued a statement praising Corker’s service in the Senate, but a spokeswoman did not respond to questions about the governor’s future plans. Tom Ingram, a campaign strategist for both Corker and Haslam, said he expects the governor to give a Senate bid serious consideration. Former NFL and University of Tennessee quarterback Peyton Manning’s political future has long been a source of speculation, especially after a highly publicized golf outing with President Donald Trump and Corker earlier this year. The quarterback also attended a Republican congressional retreat. Manning’s wife, Ashely, bought a share of the NBA’s Memphis Grizzlies in 2012, and the quarterback is scheduled to be honored at halftime of the Tennessee-Georgia game in Knoxville on Saturday for his selection to the College Football Hall of Fame. “It’s not that Peyton shouldn’t be taken seriously, but right now I think there’s more people talking about Peyton than Peyton is talking about the Senate,” Ingram said. The only Republican who has declared for the Senate race so far is Andy Ogles, the former state director of Americans for Prosperity, the political arm of billionaire brothers Charles and David Koch’s network. Others who might consider a bid include longtime U.S. Rep. Marsha Blackburn, who has often toyed with running for statewide office, and freshman Rep. David Kustoff, a former U.S. attorney in Memphis. Former state Rep. Stephen Fincher, who retired from Congress last year, told The Tennessean he will decide by the end of the week whether he will run. He has $2.4 million remaining in his federal campaign account.